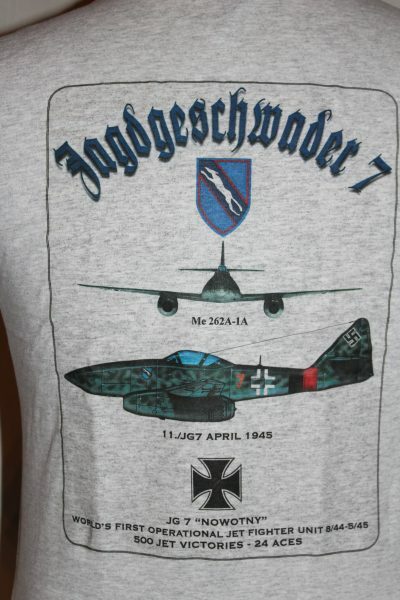 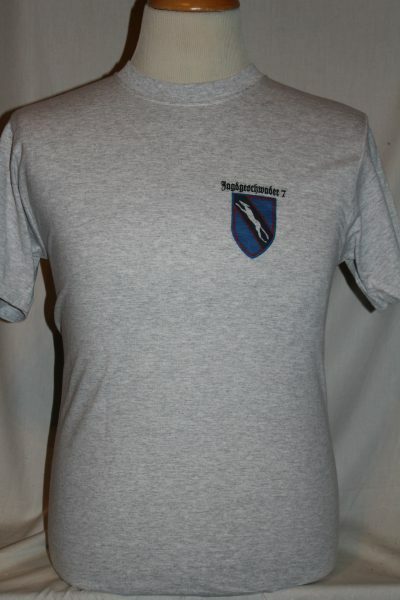 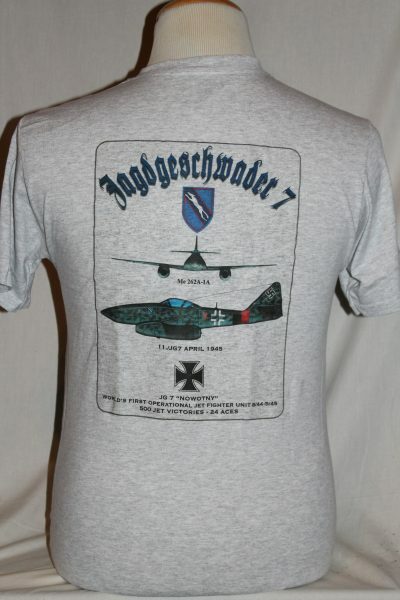 The "JG7 NOWOTNY" shirt is a two sided print in the color grey. 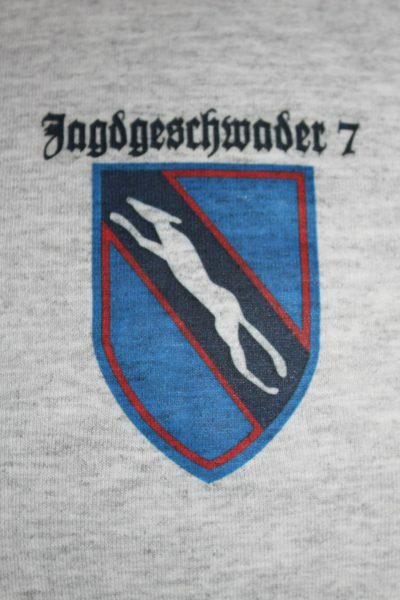 Front Design: Left chest JG7 unit symbol. Back Design: Front and side view of a ME262A-1A, with unit symbol, and text.